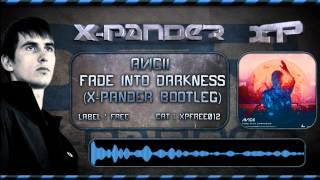 Here is the official preview of Avicii - Fade Into Darkness (X-Pander Bootleg). I made this track as a Dj Tool, for me, but also for friends producers and deejays, but also for you! This one fits a lot with this summer, and I hope you'll like it. Free download for the 2800 likes on my facebook page"